Telemachus: 'BREAKING: John Dingell (D-MI) Fulfills Promise To Limit Himself To 29 Terms In Congress"
'BREAKING: John Dingell (D-MI) Fulfills Promise To Limit Himself To 29 Terms In Congress"
This 'headline' was posted by a very funny and sharp-witted guy who goes by the handle @iowahawkblog, David Burge on Twitter Monday when long-term Congressman John Dingell of Michigan announced his retirement. He was the longest-serving Congressman today. 29 terms equates to 58 years. Know what was happening 58 years ago when he was first elected to Congress from the Detroit area? Detroit was still a bustling mecca for the best cars made in the world for one thing. Ike was still in the White House. We were just born. In other words, that is a long, long time for anyone to serve in the public trust in any elective office, isn't it? Henry Waxman of California announced his retirement recently as well. He was 'only' elected in 1974 after President Nixon resigned as one of the Watergate Babies who set out to change the world in many ways. If you have only read about Watergate in the history books or watched it in the movie 'All The President's Men' with Robert Redford, you really have no idea of just how really long ago 1974 was from today in 2014. We think serving in any elective capacity beyond 12 years is too much. No matter how brilliant, no matter how effervescent your fertile mind is, no matter how important you think you are to the future of the Republic...12 years is just about the maximum amount of time serving in public service we can think of for any sane human being. After all, working in Washington DC on Capitol Hill really is 'la-la land' where the rules of gravity, physics and economics just don't seem to apply. It is a place where people should go to work and do the public's business...and then go home and get a real life. We don't mind if people change jobs in the public sector over the course of their lifetime. Some people just are better at doing the public duty than others. We sat next to Paul Coble of Raleigh last weekend at a function. He is now serving on the Wake County Board of Commissioners. He has been the Mayor of Raleigh and served on the City Council before that. He made a run for Congress in 2012 but lost in the primary. The only elected local office he has not run for is the Wake County School Board. He has served the public a long time in a variety of elective offices. The key difference is that he has started as a freshman on both the City Council and County Commissioners and worked his way up to his seniority positions in both. He has kept his day job which is important since we think it is critical that elected officials have to live under the same laws and regulations they pass, good and bad. The insularity of Capitol Hill can (usually) blind long-term incumbents to the realities and consequences of their actions taken in Congress. Add in the gerrymandered districts where they usually don't have a primary or general election opponent and you know what Lord Acton says about that: 'Power corrupts and Absolute Power corrupts absolutely'. 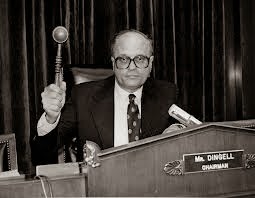 We think had Mr. Dingell had to have worked as an executive in any of the industries that he sometimes mercilessly brought before his infamous 'Oversight and Investigations Subcommittee of the House Commerce Committee', he would have sung a lot of different tunes as an elected Congressman. One of his chief staff guys told me the only thing worse than him driving up to see a potential victim was Mike Wallace knocking on your door and saying: 'Hello. I am Mike Wallace with '60 Minutes'. We would like to ask you a few questions if you don't mind'. 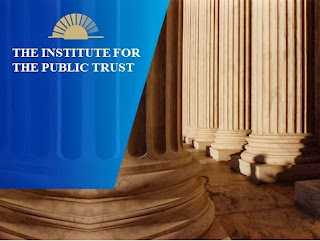 We think Mr. Waxman may have sung a different tune had he worked in any of the health care industries that he consistently hamstrung and tied into knots with his incessant expansion of the federal role into health care in America. 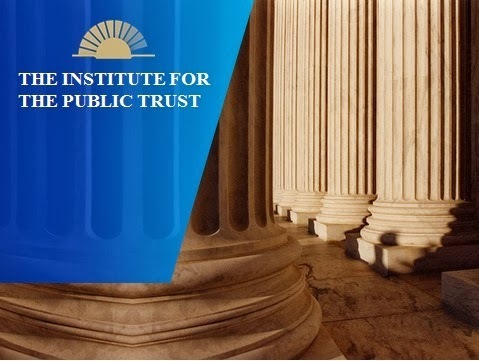 Try to imagine, if you are in any of the health care or medical device fields, Henry Waxman running any of the administration or executive functions of any health company first and then being able to pass much of his legislative agenda later as a Member of Congress. There is a world of difference between the 'la-la land' of utopian dreams on Capitol Hill and the real-world, real-life implementation of those laws in day-to-day business functions. On the other hand, right here in North Carolina, we have had several sterling examples of responsible citizens 'taking their turn' as one of our friends calls it, to run for elective office, get elected, serve a few terms and then, self-determined, leave office on their own terms. Speaker of the North Carolina House, Thom Tillis, told his constituents he would only serve 4 terms or 8 years in the North Carolina legislature when he ran in 2006. NC Republicans had been in the majority for the better part of the past 140 years but he helped devise a plan to capture control of the legislature in 2010 after which he was catapulted to the Speaker's chair. He could have stayed there for the rest of his life perhaps. He held to his self-proclaimed term limits and announced he would not be running for re-election in 2014. He is now running for the US Senate. Ruth Samuelson of Charlotte is another example of a citizen-politician 'doing the right thing' and 'taking her turn' at elective office and then living in the real world. Ruth served a couple of terms on the Mecklenburg County Commission from 2000-2004 and then was elected to the NC House in 2006. She worked with Mr. Tillis to bring about the first Republican control of the North Carolina legislature since just after the Civil War and was in a position to run for Speaker after Mr. Tillis declared his intentions to run for the US Senate. She decided not only to not run for the Speakership, but she decided to not run for re-election in 2014. She had served a good 8 years in elective service in Raleigh on top of her 4 years at the local level so she may have hit that proverbial 12-year 'maximum utility' standard we alluded to before. We worked for a gentleman businessman for 10 years in the US Congress, Alex McMillan of Charlotte. From the day he was elected, he always said he would not serve more than 12 years if re-elected that many times. He made it to 10. In 1993, he made the decision that he had done what he could to bring fiscal sanity and financial responsibility to the federal budget among other things and decided to retire after his term was up in 1994. 'Would you be upset if the Republicans take over control of the US House in 1994 for the first time since 1954?' I asked him upon his declaration of retirement, full well-knowing that no sane person in their rational mind in 1993 would have ever thought Republicans had a smidgen of a chance to win control of Congress after 40 years in the wilderness. 'Maybe...for about 10 seconds. It is time to move on. I've done what I could and I have the rest of my life to live with my family and friends' was his honest answer. Of course, lightning struck and the Republicans under Newt Gingrich took over for the first time in 40 years with a net gain of 54 seats and the Second Republican Revolution was underway. But Congressman McMillan retired with his integrity intact and the knowledge that he had, indeed, 'taking his turn' to serve in the public trust and try to make things better for all of us. One thing many people don't realize or remember from that 1994 election (mainly since many of them were not born or were in grade school at the time) is that all of the incoming Republican freshman in the election of 1994 signed a pledge to limit their terms to 3 terms or 6 years. Meaning ALL of them would voluntarily retire at the end of the 2000 session if they were re-elected in the meantime. Care to guess how many of the 73 freshman GOP House Members who signed that voluntary 3-term limit pledge actually honored it, assuming they were still around in 2000 after 2 re-elections? 5. Less than 7% of them. That is pitiful. If you are not going to honor such a self-imposed requirement, don't sign the pledge! Just stay for 29 terms like John Dingell or 40 years like Henry Waxman. The point of all this is to say that there are good people out there willing to serve the public in elective office. Some of them also have the right perspective that politics is part of their life, not ALL of their life. Those are the people you want to elect to public office, on both sides of the aisle. Ask them this election season and see what they have to say BEFORE you vote for them. Fun With Numbers...and Perhaps Too Much Spinning?